Create a Summer Fruit DESTINATION! Our Partners have had GREAT SUCCESS with stand-alone displays in their stores. Everyone has different needs so we’ve reacted with VERSATILE OPTIONS to help YOU craft what works best in your environment. 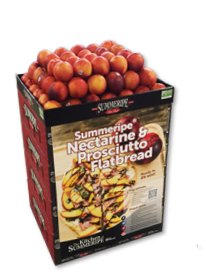 From small, stand-alone displays to massive “destination” stone fruit islands, they can all be built with our vibrant empty boxes, toppers, POS & plumcot bin! Explore our different offerings below. 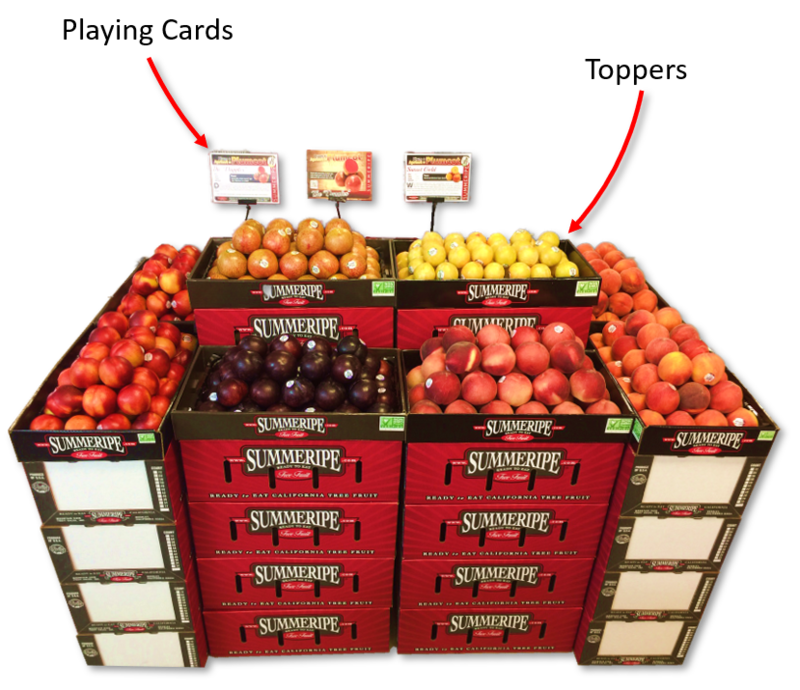 Talk with your Mountain View representative to request materials and formulate a plan to display out fruit all season long! Our box toppers are easy to setup and a great way to use high-impact Summeripe boxes as a standalone display. 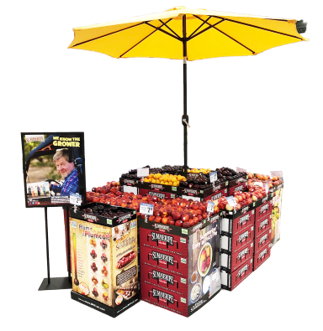 Setup an island next a grilling display with a poster to suggest diverse methods to use stone fruit. Last year we tried something new. We created cards that were packed with information to help educate consumers about plumcots. We put one in every box of our featured varieties. We heard from our partners that they loved them, so this year, we not only expanded to ALL PLUMCOTS but have also decided to develop one for WHITE FLESH and DONUT PEACHES. These will be in all premium packs. Helping consumers to understand what Plumcots are visually, our bin is bright and educational. 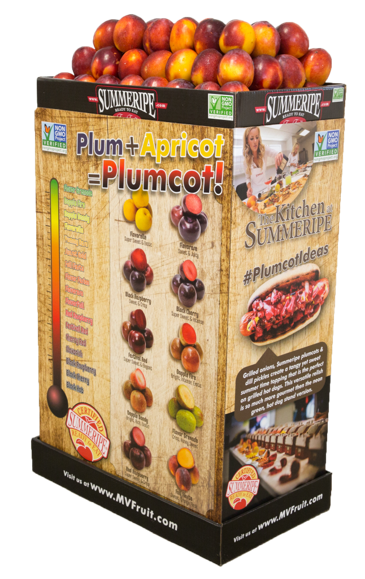 A great way to promote plumcots all season long.